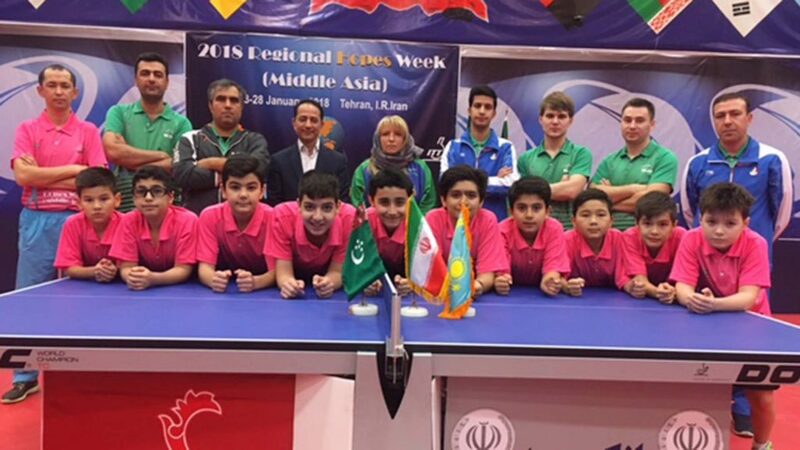 Staged at the International Table Tennis Academy of the Islamic Republic of Iran, Tehran was the home for a recent Mid Asia Hopes Week. Proceedings commenced on Tuesday 23rd January and concluded on Sunday 28th January. The expert on duty was Slovenia’s Andreja Ojstersek Urh. A total of eight boys and six girls, born between Sunday 1st January 2006 and Wednesday 31st December 2008 participated; in addition to Iran, players travelled from Turkmenistan and Kazakhstan. 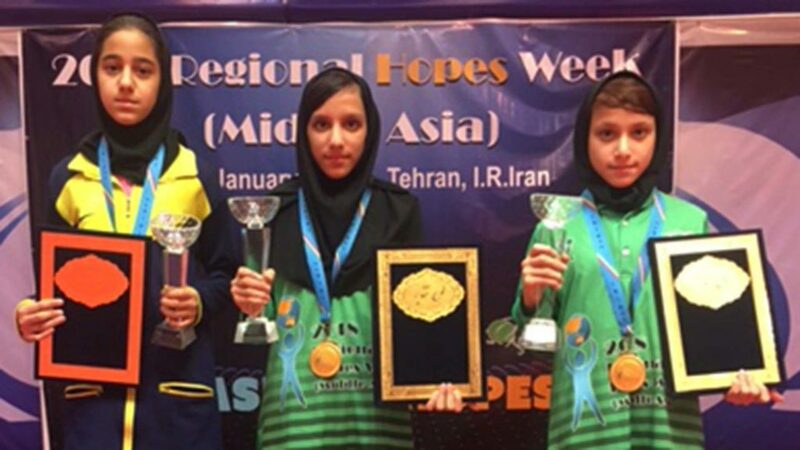 Furthermore, the Table Tennis Federation of the Islamic Republic of Iran provided two boys and four girls each day to fulfil the role of being practice partners. Throughout five table tennis tables were available in most pleasant surroundings with sufficient balls for the necessary practices. All the coaches were most active being responsible every day for warming up and stretching routines. Separate training sessions, two per day with one afternoon free, were held for boys and girls; thus for Andreja Ojstersek Urh the schedule was five hours in the morning and the same in the afternoon. A detailed itinerary, basic strokes was the subject for the first day, followed by footwork, the active game, passive play and individual practices, including multi-ball practices, to complete the five day schedule. Matters concluded on day six with the Challenge tournament; the host nation dominant. 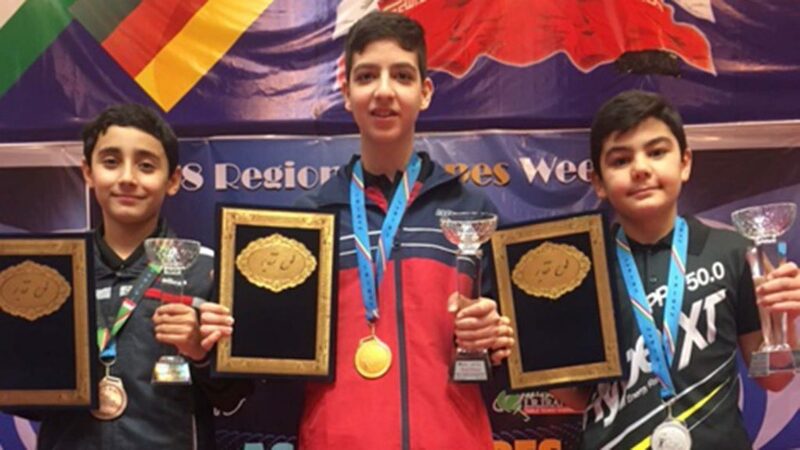 Samadi Mohamamadamin won the Boys’ Singles event beating Najafi Matin in the final; the counterpart Girls’ Singles title was secured by Sophanikhah Mona. She accounted for twin sister Sobhanikhah Mobina in the title deciding match. Impressively, the matches were officiated by International Umpires with one table being live streamed; attractive awards were made to the successful players. Notably, educational sessions were held. Amir Amidi and Dr. Narges Malmiri, both psychologists, addressed the group. Amir Amidi spoke on the topics of hit training and annual planning, for Dr. Narges Malmiri the subject matter was comparing the development of players from seven to 20 years of age. Iran: Samadi Mohamadamin, Najafi Matin, Neshati Mohamadreza, Hakima Sina, Farmani Dina, Sobhanizadeh Mona, Sobhanizadeh Mobina, Mirshafiei Heliya.